1. How can I submit my cancellation? A cancellation can be submitted by sending an e-mail to inschrijven@venloop.nl. You will subsequently receive a message from us that your submission has been cancelled. Participants who cancel their registration with us by 31 December 2018 latest will be eligible for reimbursement of the registration fee (in accordance with the general terms and conditions). It is no longer possible to cancel your registration. Through our guestbook you can get in touch with participants who are still looking for a starting permit and transfer your race number via this form. 2. I wish to change my distance/event. Is this possible? No, it is not possible to change your current registration. 3. Is there a waiting list when an event has reached its limit? There will not be a reserve list. We bear cancellations in mind upon determining the maximum amount of registrations. If you did not manage to get a starting number, you can ask via our guest book. 4. Will there be a late registration? It is not possible to physically register on Friday 29 March, Saturday 30 March and Sunday 31 March at the Ewals Cargo Care pavilion in Julianapark. Late registration is possible up to and including Friday 29 March via the online form below. View the late registration rates here . Please note: late registration is possible up until the relevant distance is full. 5. How can I transfer my race number to another runner? It is possible to transfer your race number to another participant by using via this page, in accordance with our general terms and conditions, is also the only way to transfer your race number. The name of the original participant will be printed on the race number, however the new participant will be named in the results list with their own name. Please note: with ‘check registration’ the new name is not displayed. It is important to know that you can transfer the starting number only once and it is not possible to change the distance. Koenen & Co Business Run participants cannot transfer their starting number. This data can only be changed by the Koenen & Co Business Run contact person. The new participant must fill out the transfer form. Here you require have a number of data from the current participant, namely the race number, the postcode and the place of birth. The organisation will never share participant data, or mediate between participants with regards to the transfer. You will be charged €2.50 for the transfer via a single automatic payment. You will receive a confirmation mail of the transfer after the transfer procedure has been completed. Finally, the participants need to ensure that the race number is supplied to the correct (new) participant, it is not possible to submit an address change for this. 6. Will my race package be sent to me? You can check this by using the control forms below. You only have to enter your e-mail address, country, postcode and date of birth and then you can see with one click if your race package will be sent to you and if you have made additional orders. 7. Where and when can I collect my race number? Julianapark is located between Deken van Oppensingel and Burgemeester van Rijnsingel in Venlo. 8. When can I expect my race number to arrive by post? The race numbers will be sent in the two weeks before the Weir Venloop 2019. 9. What if I don’t receive my starting number on time? 10. Can I have my starting number sent to me? If your race starting number is not being sent to you, but you want this, you can order this option in our web store up to and including 28 February 2019. 11. Can I accompany my child during the Bambino Run and Child Run? Yes. Parents are allowed to run with their child or children during the Bambino Run and the Child Run. Parents may not accompany children of seven years of age or older, i.e. Kids Run participants in older age categories. 12. Can I swap my functional running shirt? Yes, it is possible to swap the running shirt that you have been issued (while stocks last), only if the shirt is in the original packaging and within four weeks after delivery. This can be done in two different ways. Firstly, you can swap the shirt at the Weir Venloop office in Venlo (refer to contact page for our visiting address). Secondly, you can return the shirt to our postal address (see also the contact page for this). If you wish to exchange the shirt by post, please ensure that the envelope you return the shirt in is fully stamped, and you clearly state the size you want from us. It is often smart to contact us in advance to ensure that the size that you desire is still in stock. 13. What does the colour code (background of the start number) mean? The colour code on the start numbers of the 10 km and half marathon indicates the expected finish time and the corresponding starting corral, as indicated at registration. 14. Can I register for the 5 km quick start corral? 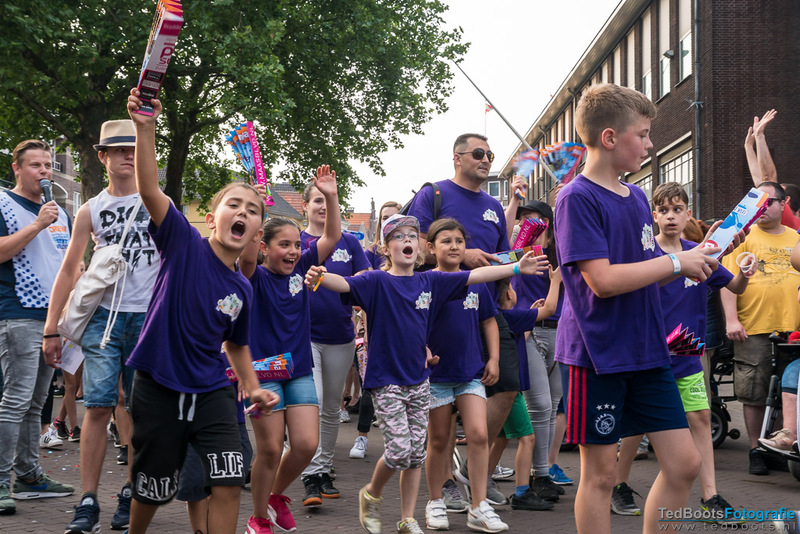 The quick start corral is intended for competitors in the Fontys 5 km race who can finish the distance in a time less than 19.30 minutes (men) or 21.30 minutes (women). Access to the quick start corral is only granted after an official registration. Apply to register by mailing inschrijven@venloop.nl. State your full name, date of birth and enclose proof that you have completed a 5 km event on a certified course –from 1 March 2018 until the Weir Venloop 2019– in a time less than 19.5 minutes (men) or 21.30 minutes (women). You can also do this by enclosing a link to the results of another 5 km event. After approval, you will be sent a confirmation mail and can collect a special sticker at the registration desk in the Ewals Cargo Care pavilion in the Julianapark in Venlo. Please attach this sticker visibly to your starting bib. Only runners in possession of a sticker will be granted access to the quick start corral. 15. Can I register for the 10 km quick start corral? The quick start corral is intended for competitors in the Seacon Logistics 10 km race who can finish the distance in a time less than 37 minutes (men) or 41 minutes (women). Access to the quick start corral is only granted after an official registration. Apply to register by mailing inschrijven@venloop.nl. State your full name, date of birth and enclose proof that you have completed a 10 km event on a certified course –from 1 March 2018 until the Weir Venloop 2019– in a time less than 37 minutes (men) or 41 minutes (women). You can also do this by enclosing a link to the results of another 10 km event. Attention: to maintain fair play in the business run, Koenen en Co Business Run participants are excluded from registering for the quick start corral for the 10 km. The same restriction applies to the half marathon. 16. Where can I park on Sunday? Shuttle buses will operate between 09.30 - 18.00 hrs from and to the start-finish areas. The parking facilities at Lage Loswal and Maaskade are open as usual and can be accessed via Urbanusweg. If you cannot find an answer to your question, send an e-mail to info@venloop.nl.